In real estate it’s all about one thing: location, location, location. 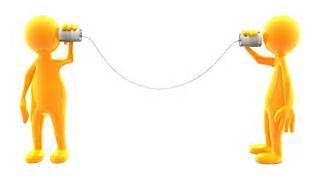 In the ever changing business environment however, the mantra should be: communication, communication, communication. Those frequent business changes also necessitate flexibility in how we communicate to customers, peers, management, suppliers, and especially to our own workforce. 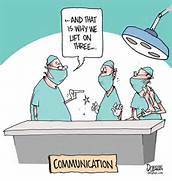 For those of you who are closer to the Gen-X, Baby Boomer, and Depression Era generations, we remember when communication essentially came in only three ways – written/print, phone, or in-person. 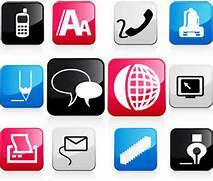 Now we have mobile/digital devices, texting and texting language, increased job jargon (just think of IT), faxes (yes, those are still used), email, IM, social media, blogs, online forums, and of course, traditional written/print, phone, or in-person. 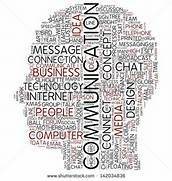 Excellence in communication skills is a must at all levels. We can no longer accept change-paralysis in the exposure and mastery of new devices, communication methods, and sometimes the new words and acronyms that come with a job. Our employees should feel comfortable, and knowledgeable in their business interactions, and that means providing more training to our staff. Every organization should either hold classes internally or send management and employees to external training to ensure their workforce has instruction in, and builds confidence in business communication skills. Training should include courses in business writing, digital device utilization, how to write an effective email, job-related lingo, business-related text language and abbreviations, and how to maintain professionalism in business and personal social media and online forum postings. Yes, I said personal and professional. Having the discernment as to the suitability of language used in both professional and personal postings has led to many an excellent personal brand and career advancement. When that judgment has been absent, many a career and brand have been seriously injured or destroyed. Unfortunately many schools aren’t really teaching the difference between casual language and the more formal business language utilized in corporate America. Awareness and appropriateness of communication can also be lacking, particularly when it comes to abbreviated messaging in texts, IM’s and social media posts. With so much potential for misunderstanding and broken internal and external business relationships, it is up to companies to ensure their workforce recognizes the difference and uses the language of work, in all of their professional interactions. From problem solving and conflict management to traversing everyday business dealings, good communication skills are vital for every employee. Let’s make sure our employees and management are trained properly for both organizational and personal benefit!